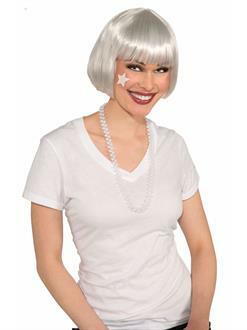 Take your go-go dancer costume to the next level with this White Bob Wig Costume Accessory! Made of high-quality materials, this comfortable costume headpiece is be quick, fun and easy way to add a new dimension to many different costume looks this Halloween! Check out all of our costumes and accessories for adults to find the look that's perfect for you! Don't wait until the last minute! Order today!